Compact crossovers and SUVs have become some of the best-selling vehicles in the marketplace, displacing traditional sedans as the primary choice for buyers who need a practical way to get around with their families. But while the compact label was once only attached to entry-level vehicles, premium car makers have responded to consumer demand with models that combine relatively affordable SUV prices with upscale styling and finishes. Check out our new feature. Here are 20 top new and major redesigned models only for 2019 and 2020. Editor’s Note: CR-V was all-new for 2017 entering its 5th-generation and 2018 CR-V shares same features. Honda has been building a small, car-based crossover for longer than anyone but Toyota, whose original RAV4 came to market around the same time. That experience shows in the latest CR-V, which combines an efficient engine with a modern interior in a sensible package. Option one up, and you add loads of luxury features for less than $40,000; otherwise, enjoy the fact that for about $30,000 you can get a family-friendly utility equipped with Honda’s full suite of active safety features. The 2017 Honda CR-V crossover is all-new with a fresh design but an underwhelming new turbo engine. We review the top-end Touring trim. Editor’s Note: The CX-5 was all-new for 2017 entering its 2nd-generation and 2018 CX-5 is the same. Mazda is much newer to the compact crossover scene than Honda, but that company’s engineers are apparently quick learners. A second generation CX-5 that arrived as a 2017 model took what was already a good vehicle and turned it into one of the best in its class, especially for drivers who like to feel connected to the road. This is neither the quietest nor the roomiest small SUV, but it is the most entertaining to drive among non-luxury models, and despite its mainstream price tag, the CX-5 looks and feels more expensive than it is. Editor’s Note: Same vehicle, two markets – Rogue Sport in the US, Qashqai in Canada. Also, 2017 and 2018 models are the same. Part of Nissan’s recent expansion of its crossover offerings included this little utility, which benefits from strong mechanical ties to the larger Rogue. That relationship means this newer model offers more refinement than its price suggests. Keep in mind the Qashqai competes in a price class below that of the CR-V and CX-5, so it is smaller and less powerful but still charming, with its nicely-trimmed interior and handsome body styling. A bit smaller than the Rogue, we review the 2017 Nissan Rogue Sport top-level SL trim providing the right size and utility for active urban lives. First Drive: 2017 Nissan Qashqai Review – Proven in Europe, Ready for North America? Proven in Europe but is it ready for North America? We review Nissan's new sub-compact 2018 Qashqai CUV (or Rogue Sport in the US). We preview the new 2017 Nissan Qashqai (dubbed the Rogue Sport in the US) in London, England before it hits our North American shores. Crossing the pond, the 2017 Nissan Rogue Sport hits dealerships this spring; 141-hp and smaller than the Rogue. Moving into the luxury realm, the X2 is the latest addition to BMW’s crossover lineup. It’s more compact than the mechanically similar X1, thanks to tidier body proportions that house a smaller interior. As much as we wonder just how many crossovers BMW needs, we like the look of the X2, whose styling makes it look more like a small hatchback than a utility. With a starting price north of $40,000, remember that you’re paying for BMW’s sharp handling and drivetrain refinement rather than for actual luxury features which, when added on in any significant quantity, drive the price toward the $50,000 mark. Here’s a good 2018 X2 Review if you’re looking for on-road impressions. Editor’s Note: The new QX50 arrives late 2018 as a 2019 model. TractionLife.com was at the QX50’s world premiere in LA late 2017 – read the story below. It took Infiniti a long time to redesign its QX50 into a second generation: the original began life in 2007 as the EX 35 before being rechristened in 2013. While the 2019 QX50 was slow to arrive, Infiniti made the wait worthwhile with the industry’s first variable compression ratio engine, which can optimize its performance to favour city or highway driving in a bid to boost fuel economy. Infiniti wraps that high-tech engine in sharp styling, and places occupants in a lovely interior that boasts far more space than the outgoing model. Editor’s Note: The redesigned 2019 Lincoln MKC has been officially announced; it will come with either a 245-hp 2.0L or 285-hp 2.3L turbocharged engine, arriving Summer 2018. Read the full feature including 2019 MKC gallery below. Lincoln’s entry-level utility is not new, but it remains one of our favourite small crossovers for its combination of good looks and on-road refinement. The MKC is especially likable for its optional 2.3-litre engine, whose 285 hp isn’t class-leading but lends this vehicle sprightly performance in all situations. We also like this little Lincoln’s generously padded front seats and its high-tech interior, wich comes as a nice surprise in a vehicle nearing the end of its life cycle and made by a brand with a reputation for conservative design. 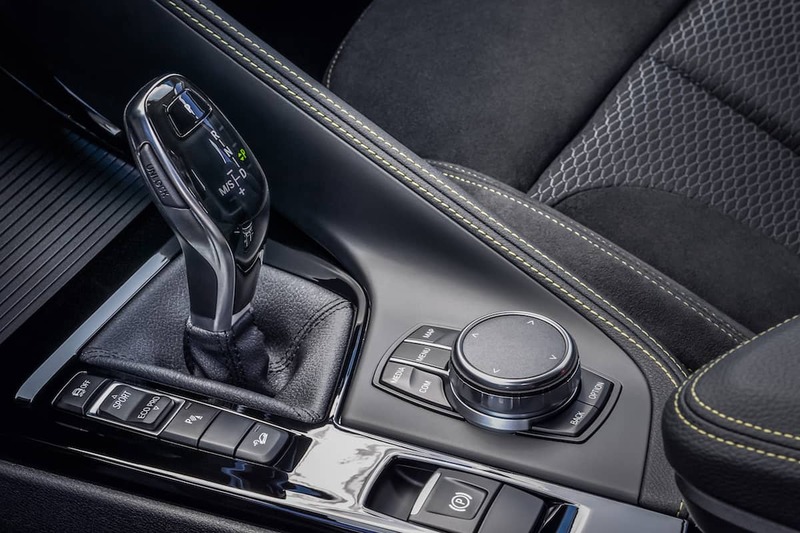 Having recognized there’s money to be made in this market segment, Porsche is now at least as well-known for its crossovers as the historically significant 911 sports coupe. The compact Macan wears the brand’s signature styling cues well and follows up with the sort of sharp driving responses you’d expect from a Porsche. Inside, the long centre console looks intimidating with its rows of buttons, but the design is actually quite functional. The Macan’s cabin is on the small side, but if that’s your main priority, you’ll have no trouble finding roomier vehicles that cost less. It’s official: the next-generation Macan will be all-electric when it rolls off the Leipzig plant production line early 2020. Compact and Mid-size to Full-size Luxury SUVs in the higher price range. 2017 SUV and crossover reviews and news.